"I wanted to be with family". The fifth episode of the eighth and final season of Dexter aired a couple of nights ago. 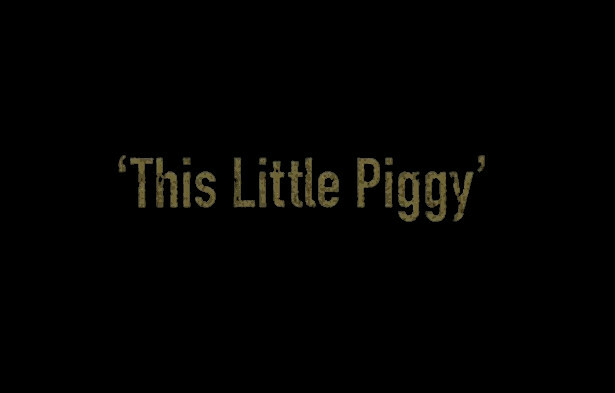 "This Little Piggy" is written by Scott Reynolds and directed by Romeo Tirone. Skip the jump to read our thoughts on the episode, vote and discuss, (in case you didn't). +The episode doesn't pick up where "Scar Tissue" left off. We see Dexter and Deb having a conversation at Vogel's house. Dex is extremely angry after what her sister did. +Harrison is asking his father's permission to watch cartoons. Funny scene! The new Harrison is such a cute kid! +Dexter goes to Miami Metro. He's glad that Deb is not there. +Masuka tells his co-workers that he has a daughter. Everybody seems surprised, and Miller's comments on this are hilarious! +Miami metro is investigating the Norma Rivera case. Dexter, Quinn and Miller are going to one of the suspects, Hamilton, to interrogate him and take DNA sample. +Suspect's son Zach Hamilton is there too. He tells Dexter that his father is not a killer. +Vogel's been taken by A.J. Yates. When Deb finds out she immediately informs her brother. +Dexter asks Deb why she didn't left him die after the accident. She tells him that she couldn't imagine her life without him. +Masuka learns more about the past of his daughter Niki. He is treating her coffee and buritos, and she asks for more. 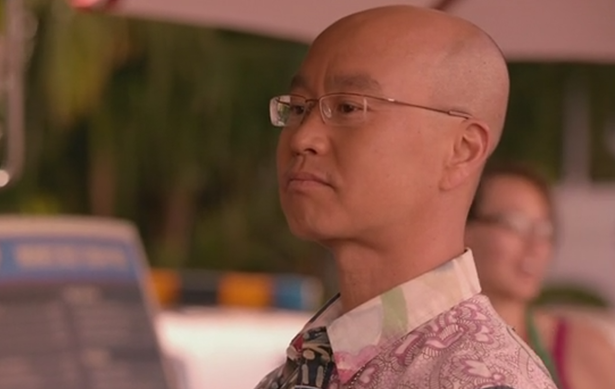 Masuka's face is priceless when she asks for a Veggie Burrito with extra cheese. He possibly thinks that she's a freeloader. +After what Quinn said to him that people that come out of the blue when they need something, Masuka is kind of confused. He visits Deb at her new job and asks her help about Niki. +Dexter returns at his apartment. Quinn, Jamie and his new neighbor Cassie are there waiting for him for a... double date. Dex who's busy with the whole Vogel situation wants to leave, but Jamie insists. +Dex finds the opportunity to leave the 'party' He and Deb are looking for Dr. Vogel. +They track the house where Yates keeps her. They find Vogel, Yates is hiding under a bed, Dexter grabs a sharp curtain rod and kills him, in front of Deb and Vogel. Badass moment! +In the final scene of the episode we see Dex at his boat, disposing Yates' body to the ocean. Deb and Vogel are there too. "I wanted to be with family" Dexter says. -We didn't see Harry at all in that episode. -Without the opening credits and the "previously", episode 8.05 was 44 minutes long. We wanted more! -Nobody at Miami Metro mentioned anything about Dexter and Deb's car accident. What did you think of episode 8.05 "This Little Piggy"?